Great Hyderabad Adventure Club - GHAC is a Not for Profit Adventure and Trekking Club registered as a Section 25 Organisation and located in Hyderabad, Telangana, India. 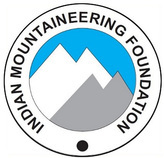 The Club is Affiliated to the Indian Mountaineering Foundation. The Club caters to activities in Adventure, Trekking, Hiking, Camping, Rock Climbing, Mountaineering, Outdoors, Nature and Adventure sport activities like Bouldering, Rock climbing and Rappelling to name a few of the activities that are conducted regularly every weekend in Hyderabad, Telangana and Rest of India. 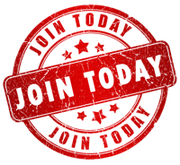 Membership is free and open to anyone over 18 years. Members 13 -17 years may participate with parental consent. Children above 6 - 12 years may participate along with parents only. Safety is priority for us - Our Outdoor Leaders are professionally trained and certified in their respective fields and know first aid and emergency handling. Nature Study, Awareness, Care and Conservation. Rock Climbing, Bouldering and Mountaineering.